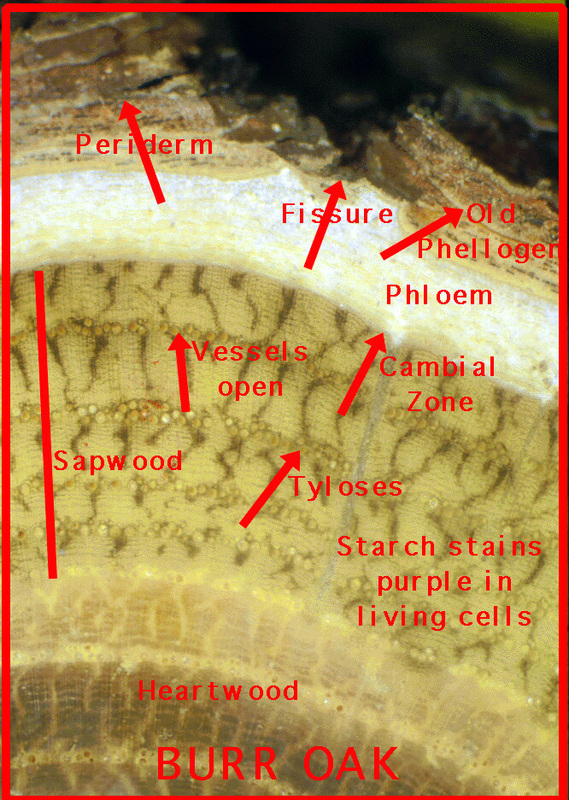 The CAMBIUM ZONE is multilayered and lies between the Phloem (whitish) and the sapwood (the wood with axial cells that stained purple and which look like tornado's. To the left of the ball point of the pen is the Phloem - inner bark. 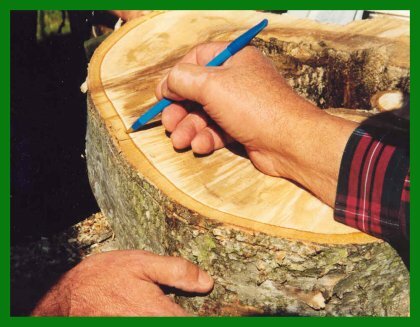 To the right of the ball point is xylem during growing season and sap wood thereafter, most of the time. The thin, color altered band, around the tree, at the ball of the pen, is the cambial zone.